Owen Carpet is where you can buy carpet at TRUE wholesale carpet prices from one of the oldest Dalton Georgia flooring wholesalers. 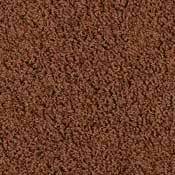 We offer HUGE discount carpet prices on wall to wall carpeting from all the Georgia carpet manufacturers including Mohawk, Shaw, Beaulieu, and Milliken as well as almost every other carpet name brand you will find locally. We stock a wide variety of wholesale carpets in our carpet warehouse at tremendous savings over your local retail carpet prices. 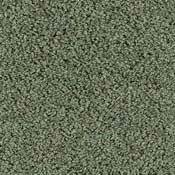 Our warehouse is full of all types of carpet including printed carpet, frieze, berber, trackless, shag, commercial, carpet tiles, outdoor carpet, and mobile home carpet. If you need carpet, and want to save up to 50% off your local carpet prices by buying directly from the factories at wholesale prices, then you need to call Owen Carpet at 1-800-626-6936 and SAVE MONEY! We also sell every other type of wholesale flooring material you can imagine such as Laminate, Hardwood, Vinyl, Ceramic Tile, and Area Rugs from all the flooring name brands you know and trust like Armstrong, Bruce, Pergo, Quick-Step, Shaw, Mohawk, Daltile, and many more at the best wholesale flooring prices you will find.